At T.P. Trailers, Inc., we have a large parts department and knowledgeable staff that is there to help solve your equipment problems! 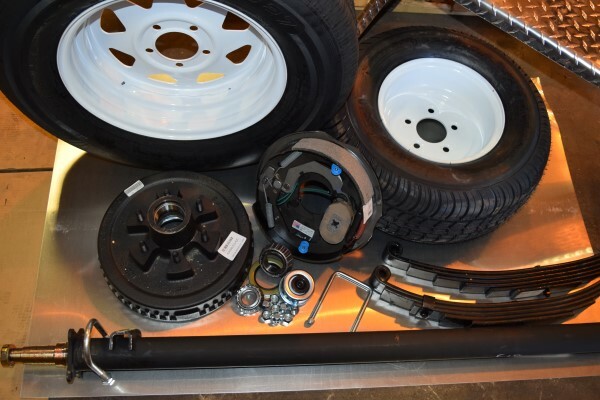 We strive to have everything you need to maintain your trailers. 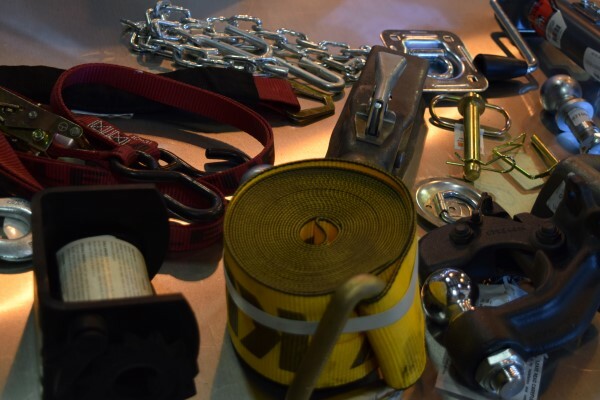 We have jacks, couplers, pintle hooks, safety chains, batteries, brake controllers, hitch pins, and multiple styles of straps. We also carry e-track, e-track accessories and wheel chocks. 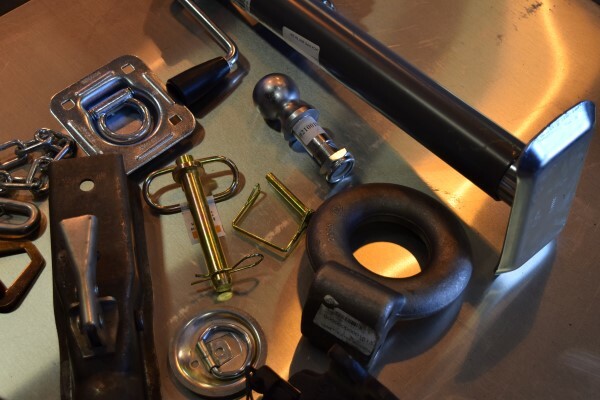 We also have suspension and brake parts in stock for you to keep your equipment rolling. If you are in need of magnets, brake pads, drums, axles, leaf springs, u-bolts, grease seals or tires, you can find them at T.P. Have questions? Contact our parts department and we will do our best to help you stay on the road. T.P. is your headquarters for snow and ice replacement parts from remotes to cutting edges. 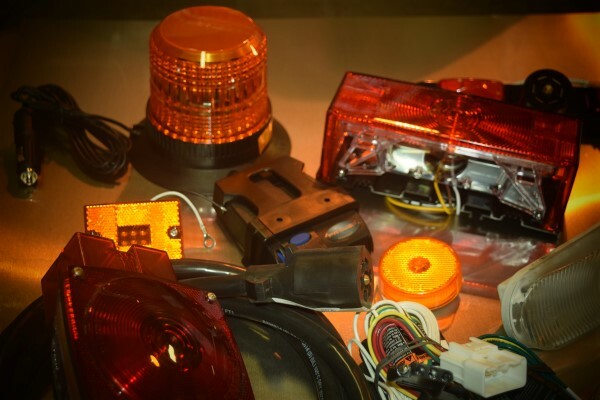 We carry spinners, solenoids, hydraulic hoses, hydraulic cylinders, plow markers, replacement lights, a-frames, wire harnesses, salt away and more. Need something in particular? Please call us so that we may help you. We are also open 24/7 in snow emergencies to provide parts and service when you need it most! We also do annual plow and spreader service as well as hydraulic pump repairs. Stop in or call to find out how we can help you with your parts needs! 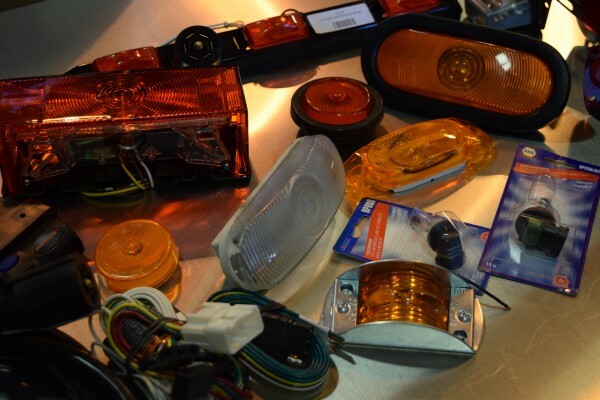 Our parts department also carries a full line of incandescent and L.E.D. 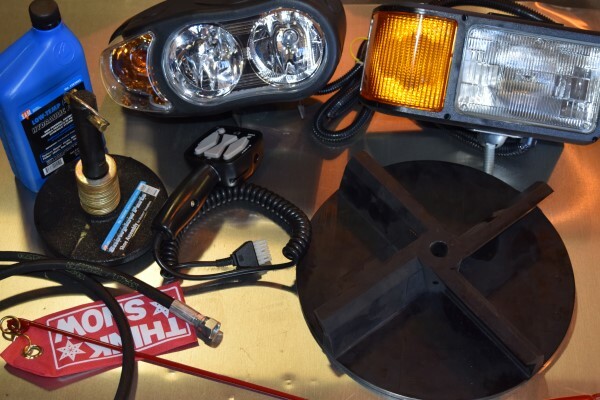 clearance, back up and spot lights to help you keep your equipment lit up and DOT legal. We also carry recessed, flush mounted and top mount strobe lights in incandescent and L.E.D. for commercial and municipal equipment. 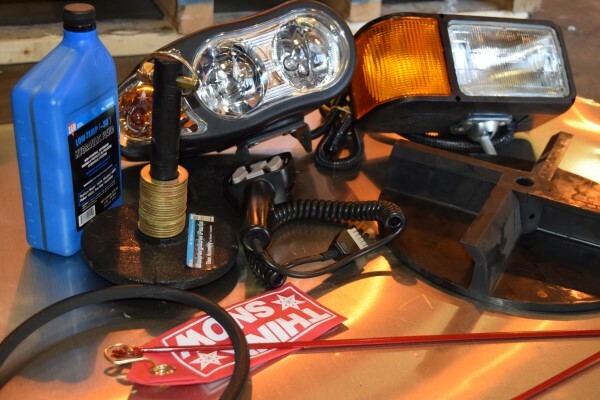 We have brake controllers, wire harnesses, license plate lights, trailer plugs and plug adapters, too! Please ask for help if you do not see what you need, we will work to get the right part in your hands! I just wanted to drop you a quick note and thank you and TP Trailers so much for the loan of the box trailer! This enabled me to drive up to Breinigsville and pick up a large load of donated water from the Nestle Water Company. We've blessed each and every bottle which are now at the front of our church to be taken each week and given away in the community. Your generosity has made it possible to be a huge blessing to our community and I wanted to let you know how much we appreciate it!